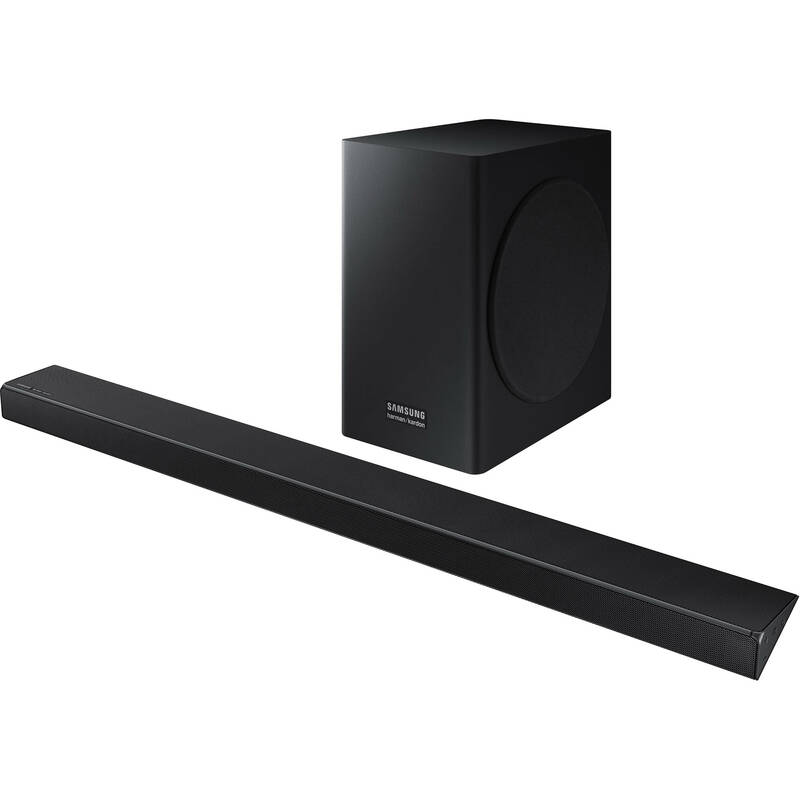 Enjoy wireless audio streaming with the Samsung HW-Q60R 360W Virtual 5.1-Channel Soundbar System. This system delivers up to 200W of power from the soundbar and up to 160W from the included wireless subwoofer. An HDMI input provides a connection for digital video and audio, and an optical input provides an additional input option for digital audio. A USB port is also onboard for playback of compatible music files. 3.5mm connectivity also provides a wired analog connection. 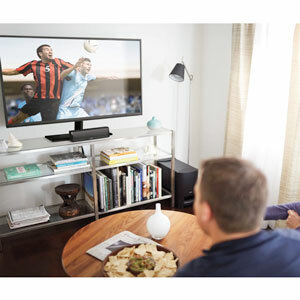 Bluetooth connectivity is built into the soundbar for wireless audio streaming from compatible devices like smartphones and tablets. The HW-Q60R supports select Dolby Digital and DTS audio formats. This technology is designed to mix and deliver the sound via a set of openings at the top of the soundbar, making it seem as if sound is coming from where the action is happening on the screen. The dedicated center channel helps deliver clear dialogue. Adaptive Sound is designed to analyze the content and deliver optimized sound with clear voices. With 4K pass-through capability, you can enjoy audio without compromising video quality. 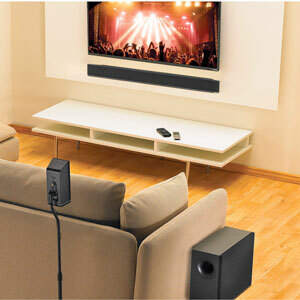 An optional Wireless Surround Kit lets you expand your sound system without signal wires. It works together with the soundbar to create a true surround sound experience. Box Dimensions (LxWxH) 44.0 x 22.0 x 10.0"